Plus a gem of a short story called “Walk the Blue Fields.” Claire Keegan read us her story in a gentle, lilting accent, heightening the effect of her reading by voicing the parts of various characters. From time to time she interpolated material, often of a wry or humorous nature. I can’t recall any of those comments specifically; I can only say that it was a captivating performance. I wrote about this story in a previous post, and I feel that I benefited greatly from hearing the author herself read it. It seems to me now a profound meditation on the essential sadness of the human condition. Something my mother used to say kept coming back to me: “People are always demanding justice, when they should be begging for mercy.” Or words to that effect. Anyway, ultimately there is a mercy to be found in “Walk the Blue Fields,” albeit a small one. But in the circumstances, it will have to suffice. The story concerns a priest who is officiating at a marriage ceremony. This should be a happy occasion, and it is for some, but not for others – and certainly not for the priest himself. At one point, one of his parishioners makes a deprecating remark about herself, and the priest gallantly contradicts her. All the time he’s thinking of how often he is forced to perform this tedious little dance. Here was an incident whose specificity made it ring absolutely true. 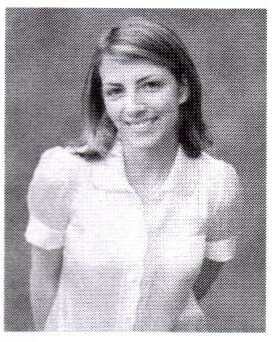 Claire Keegan’s story “Foster” appears in the February 15 & 22 issue of The New Yorker. I should mention that Ms Keegan was introduced by His Excellency Michael Collins, the Republic of Ireland’s ambassador to the U.S. Ambassador Collins was also on hand last year to introduce Frank McCourt. After intermission, it was time for music and dancing. The music was supplied by the excellent Narrowbacks: the Brothers Winch, Terence and Jesse, were joined by consummate fiddler Brendan Mulvihill, singer and guitarist Eileen Korn Estes (whose velvety voice I love), and piper and flutist Linda Hickman. Jesse Winch plays the guitar and the harmonica, but he really wowed the audience with solo gig on the bodhram, or Irish drum. Here’s a video of a student of his playing that singular instrument. 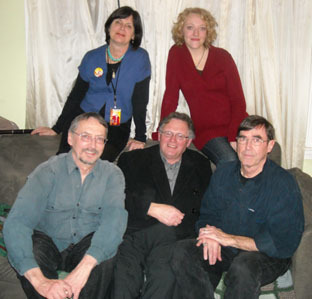 Jesse’s brother Terence plays the button accordion and is also a songwriter and poet. He read us several of his poems, which I found quite delightful. There’s a moment in one of Alexander McCall Smith’s recent Isabel Dalhousie novels when Isabel reflects on the many gifts that Ireland has given to the world. To that, one can only respond with a heartfelt Amen. This is the great Alexander Godunov as Tybalt in Romeo and Juliet (Bolshoi, 1979). First, there is the arrogance, the smug heedlessness, of pure evil; then, the death agony. Watching this – over and over again – I am not only astonished but also downright frightened. Such is the intensity of this performance. 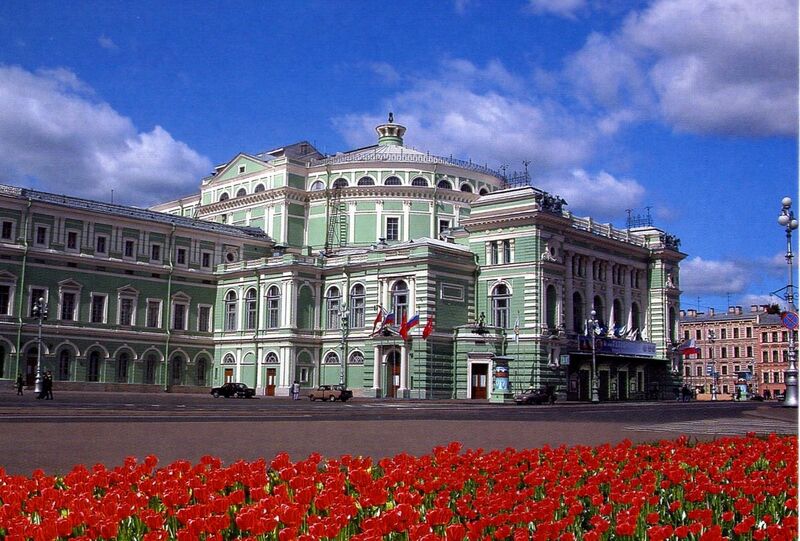 Here is another clip of a performance of Romeo and Juliet by the Bolshoi. 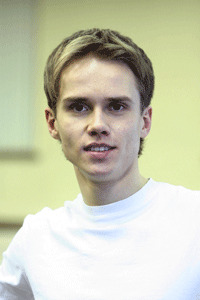 Alexandr Tetrov is wonderful as Tybalt, but Vladimir Derevianko pretty much steals the show as Mercutio. 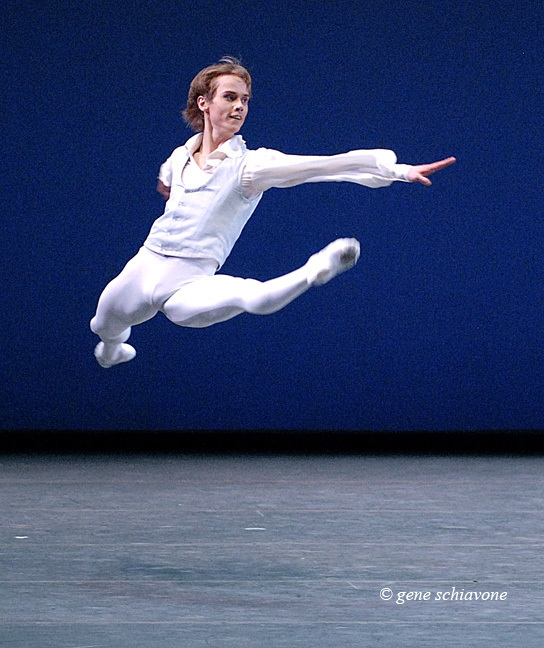 I can’t take my eyes off his legs – he becomes effortlessly airborne, then whirls like a top. Later, he turns around and taunts Tybalt – one is filled with dread, knowing what will happen next. I confess, I have never watched this video through to the end. I can’t bear the thought of losing Mercutio, the mercurial sprite so cunning and so free. 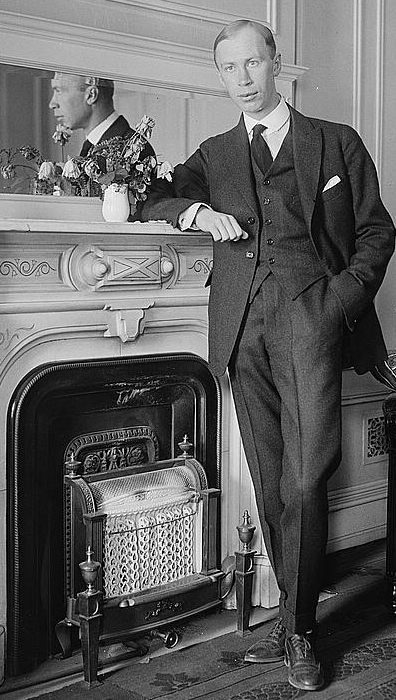 Sergei Prokofiev is a composer that Ron and I both love. He wrote much great music; for us, Romeo and Juliet is his masterpiece. Russians really connect with the heightened passion that informs Shakespeare’s play. They have taken this timeless, turbulent tale of love in adversity and through the magic of music and dance, made it their own. This is it, right? Replete with drama, melodrama, and utterly gorgeous music, Tosca is a can’t miss night at the opera, is it not? That was certainly my assumption when I got a group of friends and fellow AAUW members together to see, in a nearby movie theatre, the HD broadcast of the Metropolitan Opera’s new production of this perennially popular work. No sooner were the tickets bought and paid for than the stories starting coming of a rather unusual opening night at the Met: a performance of Tosca had elicited boos from the audience! “When was there last an opening night quite like this at the staid old Metropolitan Opera?” chortled Mike Silverman in the Huffington Post. What happened? The problem lay in the new production, one of eight being mounted at the Met this season. 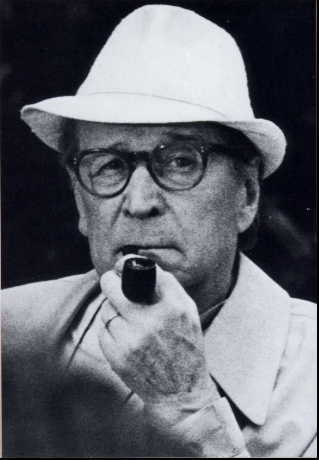 Luc Bondy has made major changes in the staging and the sets, and they did not find favor with the opening night audience. 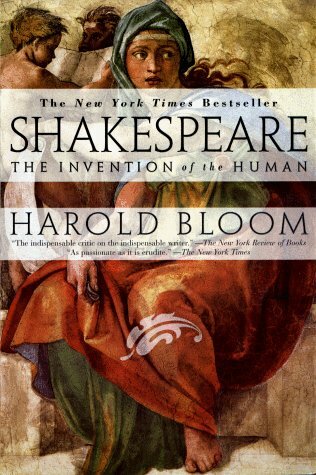 “Revolutionary sentiment seethes in royalist Rome; a famed diva, in love with a rebel artist, confronts a Te Deum-singing, sexually slobbering chief of police; the villain is stabbed with a dinner knife, the lover falls to a firing squad, the diva leaps to her death while screaming about God. Each act unfolds in real time, in precisely mapped locales, with no major improbabilities impeding the flow of events. The music is both refined and brutal, late-Romantic opulence pinned to raw action. In brief, here are my observations: the set for Act One, which supposedly takes place in an opulent church, was ugly; the lighting was so dim that you could barely make out what was occurring on stage. (This has to have been even more frustrating for those watching it live in the opera house. We filmgoers had the major advantage of close-up photography of the singers.) The set for the second act was equally ugly, but thank goodness the lights had been turned up so we could see what was going on. 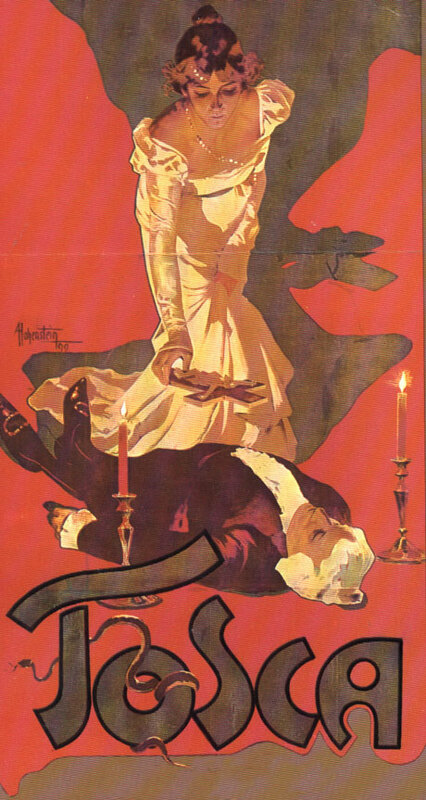 That marvelous, hyperdramatic gesture of Tosca’s in which she places lighted candelabra on either side of the body of the murdered Scarpia and a crucifix on his chest (see the above poster) was eliminated and replaced with nothing. Act Three reverted to murky lighting, but for this melancholy finale, this seemed right. The glaring alteration here was at the very end, when a defiant Tosca hurls herself off the parapet. Usually at this moment, the soprano disappears behind the scenery.In the new production, however, you see the leap, which is stopped in mid-action. Bondy was apparently looking to create a freeze-frame effect that would awe the audience. Instead of being amazed, however, said audience was further annoyed by what was perceived as yet another senseless violation of the sacred canon. 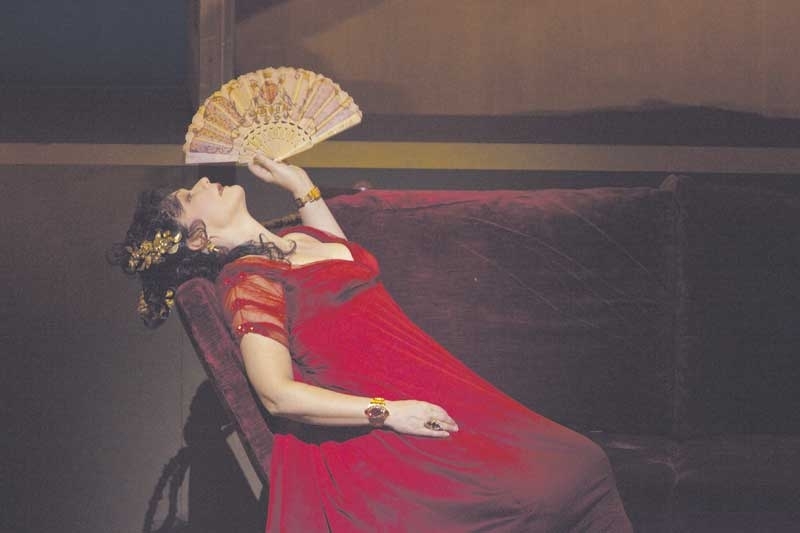 Alex Ross did not care for Karitta Mattila as Floria Tosca, and I must reluctantly agree with him. 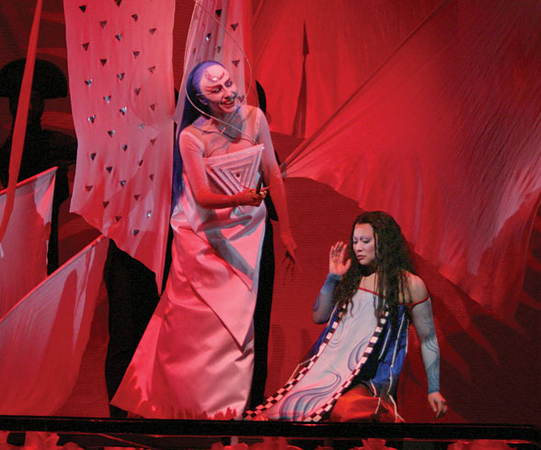 This renowned Finnish diva has a powerhouse vocal instrument – perhaps, too much so for this role. Her “Visi d’Arte” did not thrill me as I’d hoped it would. Yes, her voice wobbles slightly on the high notes – no matter. I just finished listening to it yet again; for me, its power is never diminished. The interviews with baritone George Gagnidze and Luc Bondy went less well, primarily because both men had almost no English at their command. 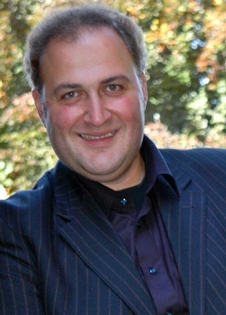 Gagnidze, a last-minute replacement for an ailing Juha Uusitalo, hails from the Republic of Georgia. I though he made a suitably villainous Scarpia and sang the role with conviction. He gamely tried to answer Graham’s queries, but for the most part could only shrug amiably. I was more surprised by Luc Bondy’s almost complete lack of facility with the English language. The performance that we saw Wednesday evening was not the one which took place on opening night, September 21; it was, instead, “captured” on October 10. We neither saw nor heard any booing or catcalls. Was the encore film cleansed of these negative elements? Possibly. 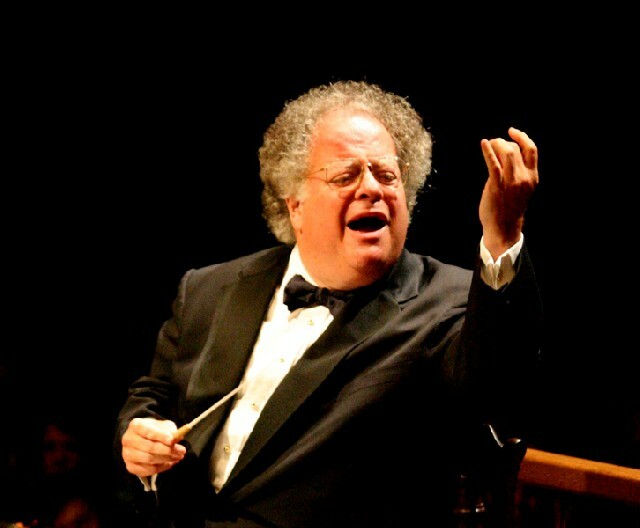 Also, as I mentioned above, our conductor was Joseph Colaneri rather than James Levine, who conducted on opening night. 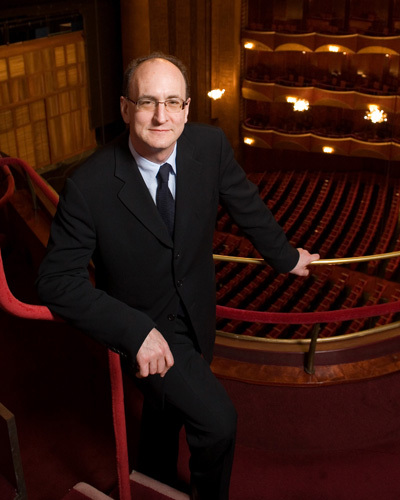 And here a word must be said about the Metropolitan Opera Orchestra: under Levine’s leadership, it has become one of the world’s great orchestras. Their playing was absolutely glorious. “Covent Garden was haunted last night. 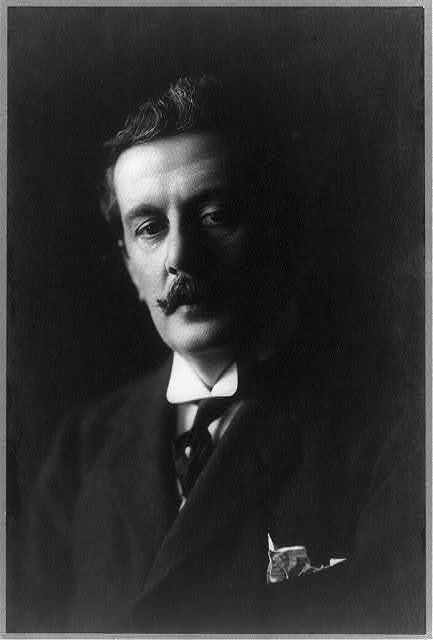 It was haunted by the gentle and immaculate ghost of Puccini…who died with the final bars of Turandot still imprisoned within his brain, who disappeared to solve an enigma more terrible and profound than any created by the Princess Turandot. We like to think that Puccini revisited the glimpses of the moon last night to observe the opera’s performance in England, where his works are so universally cherished, to watch his tricksy spirits at their revels. We imagined him pleased with the magnificent production and the sensation it created. “Universally cherished” – not just in England, but all over the world. 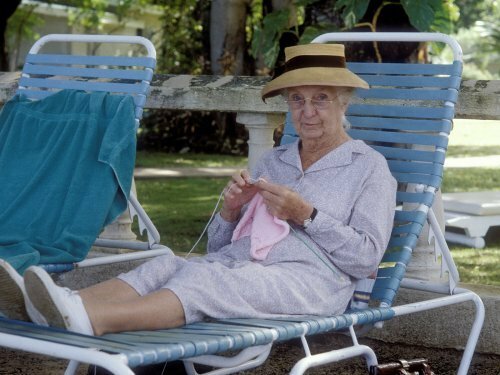 “This audio performance is unique in that the recordings were made at Miss Hickson’s home when she was approaching her 90th birthday. 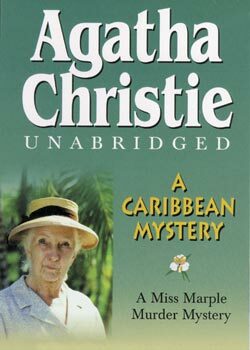 Just as Miss Marple is an octagenarian, she is perfectly portrayed by an octagenarian par excellence. This is an amazing speech. Here is a murderer, envying his victim the peace conferred by death – a death that the noble Duncan neither sought nor desired. It is as good an indicator as any of the moral cesspit into which MacBeth has already sunk. And I can’t resist adding that where I come from, this would be called the ultimate in chutzpah! Here is the review I wrote of the Folger Theatre’s stunning 2008 production of “the Scottish play.” This performance is now available on DVD. 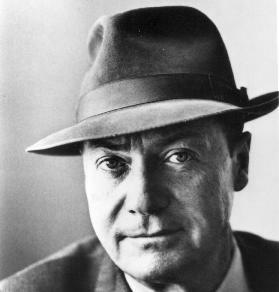 Kenny Meadows. 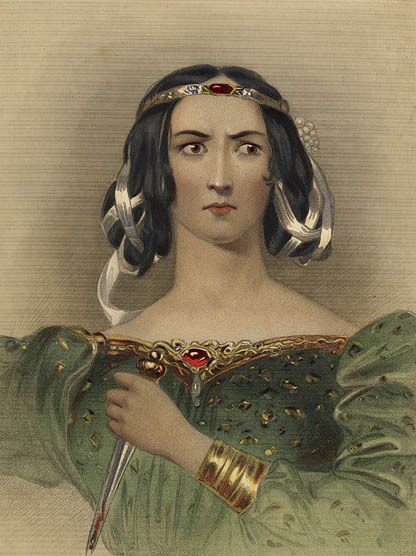 Lady Macbeth. Engraving, 1850. William Shakespeare. 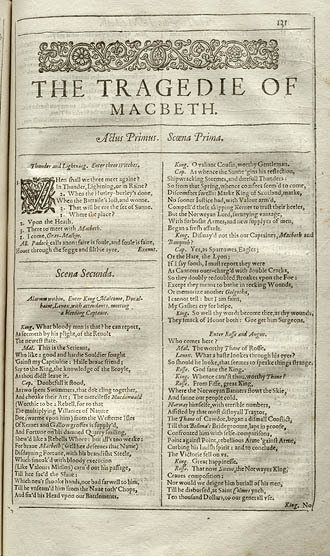 Mr. William Shakespeares comedies, histories, & tragedies: published according to the true originall copies. London, 1623. 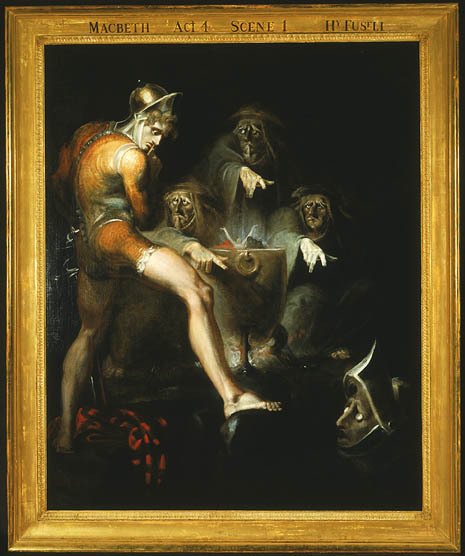 There is seemingly no end to Shakespeare’s power to astonish (or in Agatha Christie’s power to entertain and oftentimes, to provoke). I spend a great deal of time on YouTube, and I thought that from time to time, I would share some of my favorite videos. For many years I have loved classical ballet. This video captures the magic created by some of that art’s greatest performers. The music is the Adagio from Spartacus by Aram Khachaturian. Wednesday night I went to the movies. This is something I have virtually stopped doing at this point in my life, but the occasion was a special one: I was attending a screening of The Magic Flute, an HD “encore presentation” by the Metropolitan Opera. I had been meaning to do this since since the inauguration of these broadcasts in 2006. This was the performance that kicked off the series that year. I had less trouble with the abridgement than with the language. I know this opera in German. 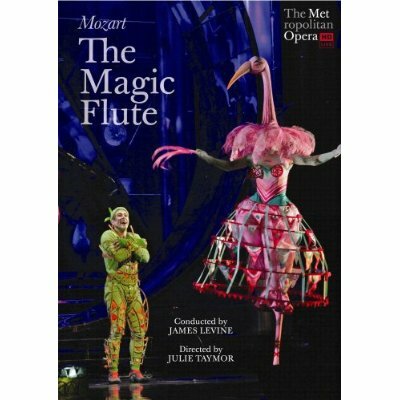 I don’t speak German, but I am on intimate terms with the (German language) libretto of The Magic Flute. Obviously I had to get past this dismaying change if I were to enjoy the evening. I did get past it – for the most part. Now this film did use subtitles from time to time; even English, when sung, can be hard to understand. It seems to me that they could have retained the German and used English subtitles more liberally. In some instances, the Englsh translation of the spoken dialog verged on the slangy. At one point, Poppageno (Nathan Gunn) asks, “Can’t a guy get a beer around here?” – or words to that effect. Poppageno is certainly a comic character, but at times in the film, Gunn’s antics were, IMHO, a bit over the top. And speaking of Nathan Gunn, why was it so difficult – if not impossible – to tease out the names of cast members from the Met’s site? Opera has always thrived on the star system; the last thing these singers need is anonymity! This is especially true re this production, in which the singing was quite simply superb. Ying Huang, Matthew Polenzani, and Rene Pape were all three marvelous. And then there was Erika Miklosa as Queen of the Night, a role which is the ultiamte test for the coloratura, with its soaring showpiece arias. She triumphed – I had goosebumps! That’s Matthew Polenzani as Tamino, playing “die zauberflote” for everything he’s worth! Alex Ross, impressed by Julie Taymor’s “deeply dazzling vision,” reviewed the production with customary eloquence on his blog. I walked out of the theater feeling like the Wedding Guest in Coleridge’s poem: “stunned / And…of sense forlorn.” For there is no experience quite like coming face to face with the genius of Mozart. I felt as though I had been in the presence of something holy. 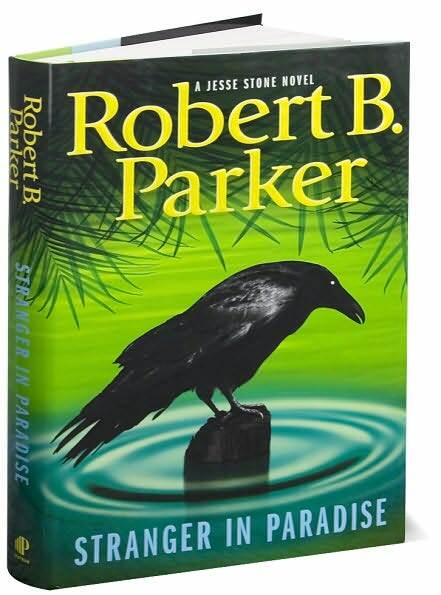 Stranger in Paradise by Robert B. Parker. 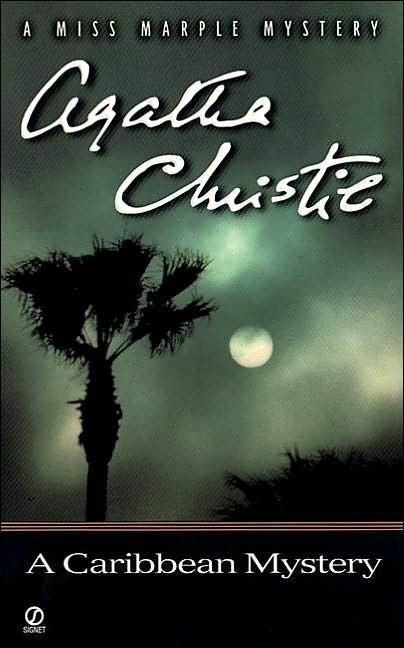 I have a lingering affection for this author, though I usually stick to his (incredibly long-running) Spenser series. In the past,I haven’t cared for the Jesse Stone novels, finding them too touchy-feely. As it happened, though, my husband and I were very much liking the made for TV films, which feature Tom Selleck as Stone, a role he seems born to play. Hence, my decision to read Stranger in Paradise, which I quite enjoyed. This enjoyment was somewhat enhanced by having Tom Selleck in my mind’s eye for much of the time I was reading! 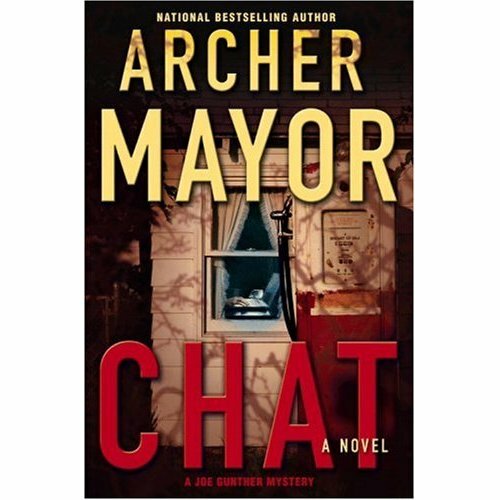 Chat by Archer Mayor. I love Mayor’s straight-ahead, unadorned prose style and his exceptionally appealing protagonist, Joe Gunther. This series also features a vividly rendered ensemble cast of law enforcement officers. 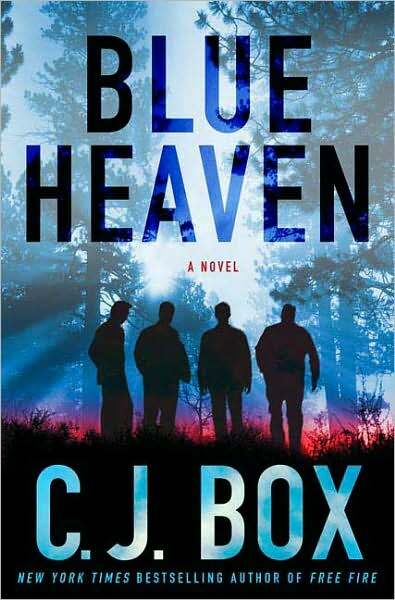 Blue Heaven by C.J. Box. The author manages to keep you on the edge of your seat throughout the narrative; you’ll be chewing your fingernails as you agonize over the fate of a seriously imperiled but amazingly courageous and resourceful 13-year-old girl. Definitely a candidate for my “thriller with brains” designation! 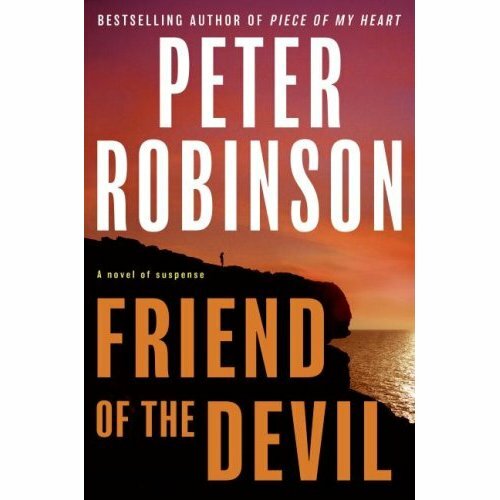 Friend of the Devil by Peter Robinson. I’ve read every one of the Alan Banks novels, and what a pleasure it has been watching this author go from strength to strength in this outstanding series. The latest, All the Colors of Darkness, can now be reserved at our local library. 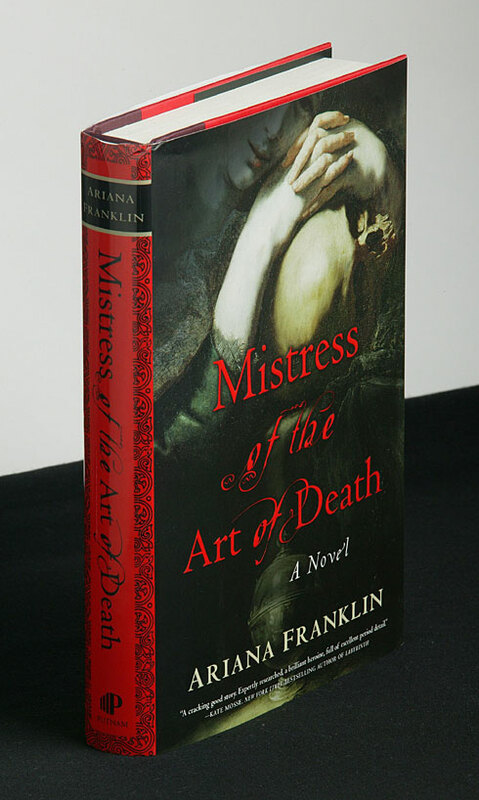 Mistress of the Art of Death by Ariana Franklin. 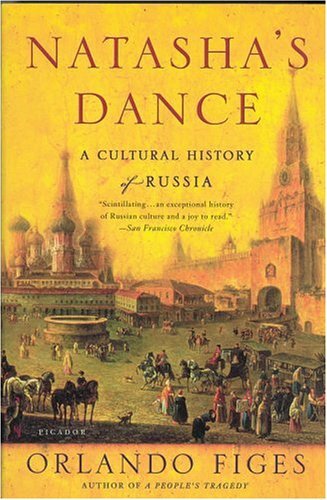 I forgot to include this title in my discussion of historical mysteries I enjoyed this year. I had some initial reservations about the premise of this novel, but I got swept up in the story and fell utterly in love with Franklin’s feisty protagonist, the splendidly named Vesuvia Adelia Rachel Ortese Aguilar. And now, two classics and three pleasant surprises. The Skeleton in the Closet by M.C. Beaton. I grabbed this book on tape – yes, tape, that finicky old technology! -off the shelf at the Central Library with no idea what it was about. 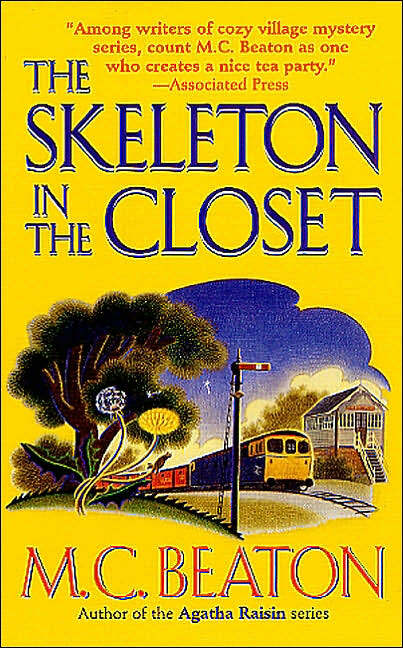 Set in a village in the Cotswolds, a place almost too dreamily English to be real, Skeleton is not an especially compelling mystery. It is, however, an utterly enchanting love story, read by the eminently listenable Donada Peters. I commend it to you warmly! 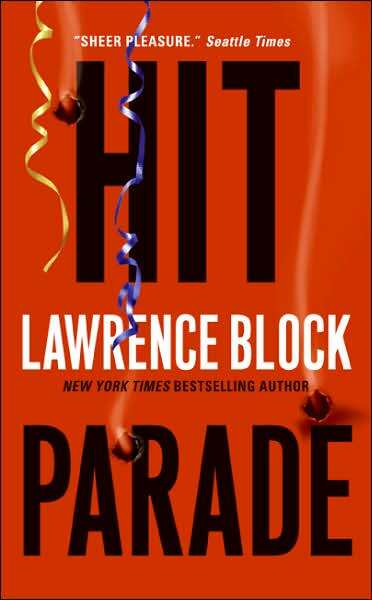 I also listened to Lawrence Block’s Hit Parade. Block is one of the reigning masters of American crime fiction. At one time, I was a huge fan of this author’s Matt Scudder series. 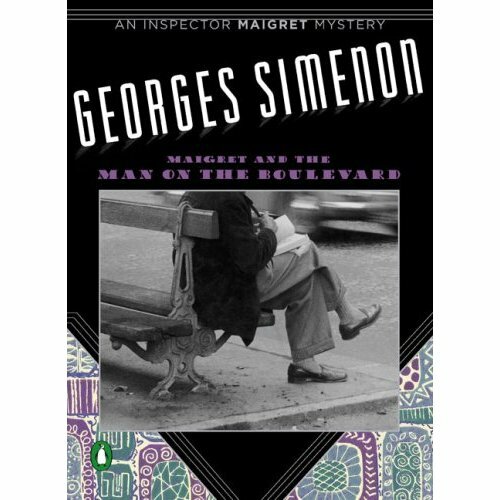 Those books, a chronicle of one man’s struggle to be a good person, are utterly gripping and tend to be quite somber in tone. I knew we’d be seeing Block at Bouchercon, where he was to be honored for distinguished contribution to the mystery genre. 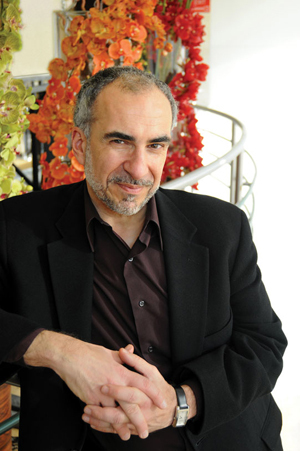 I was intrigued by this prolific author’s new series featuring John Keller. Keller flies all over the country carrying out various commissions while Dot, his business partner, stays home in White Plains. It’s a business much like any other – except that Keller is a professional hit man! Hit Parade was read by the author, with appropriate sardonic inflection. I haven’t come across fiction this deliciously subversive in years. And here’s the author discussing his latest creation at a book signing. 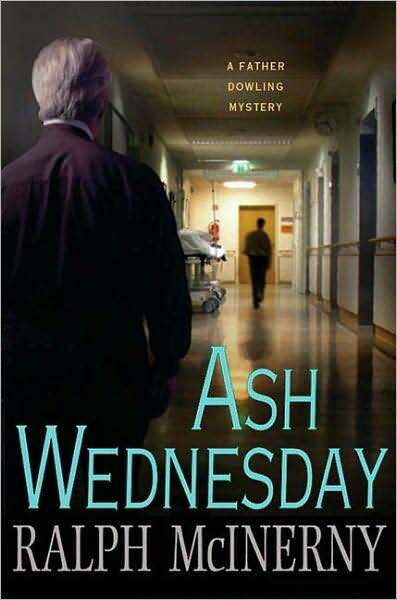 Ash Wednesday by Ralph McInerny. 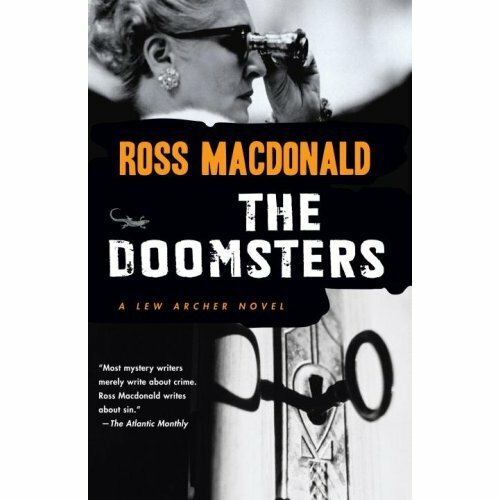 This author’s Father Dowling novels now number twenty-six; there’s also one story collection and another on the way. I hadn’t read one of these in a while and had forgotten how much I enjoy McInerny’s delicious low-key wit. Under the guise of a cozy set in a gossipy small town in Indiana, Ash Wednesday manages to examine some genuinely provocative moral and spiritual issues. And what the heck, it’s just plain fun to hang out with the wise, witty, self-effacing Father Dowling and his prickly housekeeper Marie Murkin. Next – when I can get to it, what with wrapping presents, sending cards, etc. 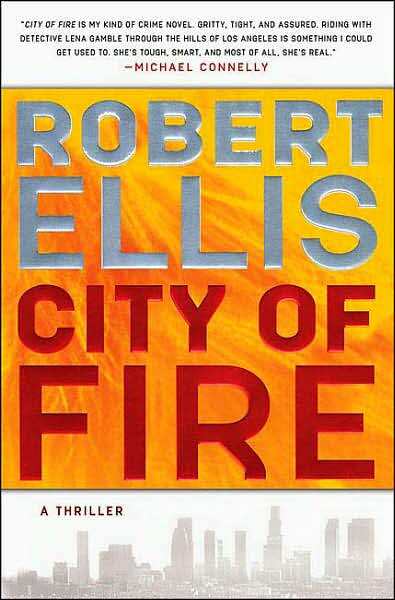 – Group Two: the creme de la creme of my mystery reading year! 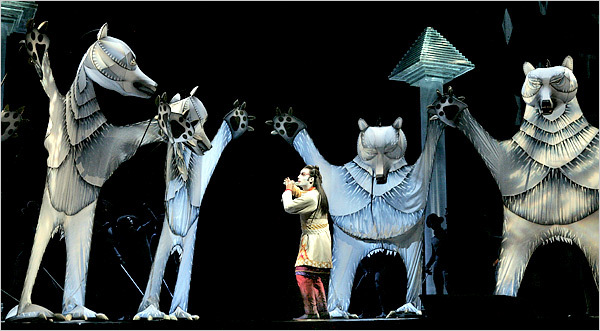 Extreme stagecraft was employed in this production. Sudden loud noises, abrupt appearances and disappearances, blindingly bright strobe lights – and buckets of blood. 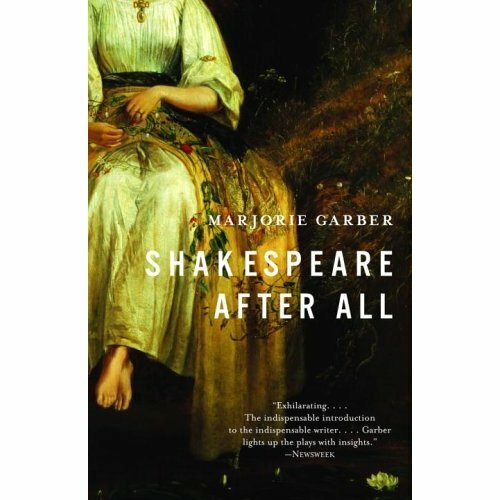 In the capable hands of directors Teller (of Penn and Teller fame) and Aaron Posner, these elements intensified the focus on Shakespeare’s language and on the anguish of the characters. A collective “Ah!” seemingly arose from the packed house on many occasions. I felt as though I were watching the prototype of tragedy, reduced to its most laserlike capacity to terrify. The acting is first rate. I admit to a prejudice where Shakespeare performances are concerned: I prefer the actors’ speech to have a British inflection. These were American actors, so they spoke American English. After the first five minutes or so, it ceased to matter. I was mesmerized and stayed that way, right to the end. “The raven himself is hoarse / That croaks the fatal entrance of Duncan / Under my battlements. “We fail!/ But screw your courage to the sticking place / And we’ll not fail. “Look like the innocent flower / But be the serpent under’t. These may be the most despairing, nihilistic lines Shakespeare ever wrote. 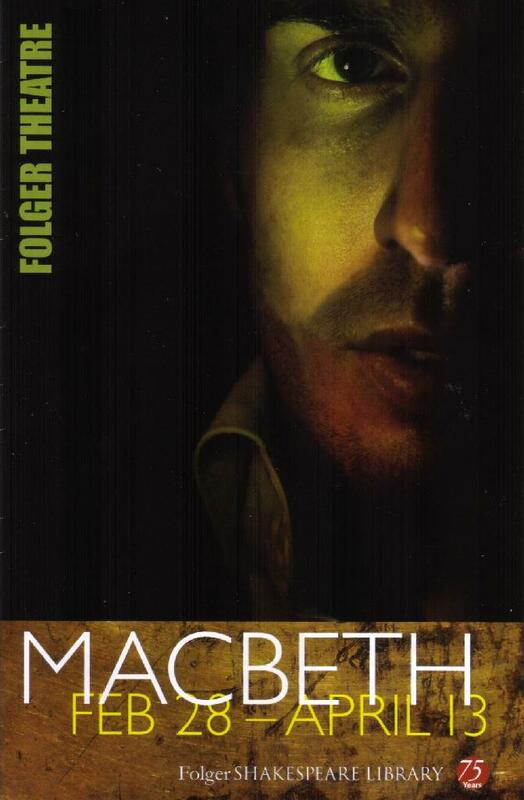 I think Bloom is saying that because Macbeth seems at first to be a decent sort – decent in the way we like to think ourselves as being decent – that his swift descent into an infamous kind of Hell seems to exemplify a fate that could befall any one of us. Perhaps this accounts for the claustrophobic unease of the viewer caught up in the play’s precipitous downward trajectory. 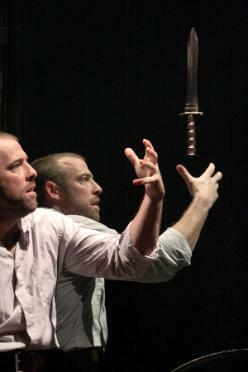 The run for the Folger’s production of Macbeth has been extended; tickets are currently almost impossible to get. People are advertising for them on Craigslist. I’m not surprised. entrance of the fiendish heart was to be expressed and made sensible. Last night we attended a performance by the U.S. Army Field Band. The Field Band has four separate components; on this occasion, it was the turn of the concert band to strut their stuff. And did they ever! 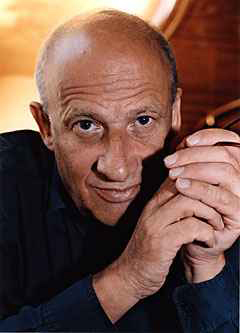 Imaginative and varied programming was one of the chief pleasures of this concert. 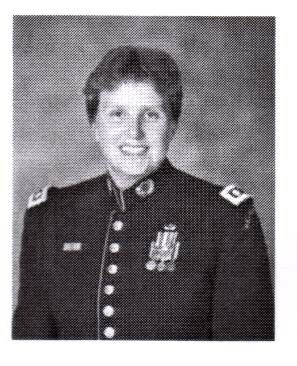 First, we all stood and joined the players and their conductor Lieutenant Colonel Beth T.M. Steele in singing the National Anthem. This is not a moment to be lightly glossed over; I surprised myself by tearing up. Lieut. Colonel Steele then welcomed us warmly and introduced the evening’s guest conductor, Dr. Mallory Thompson of Northwestern University. The concert got under way with two short pieces by Aaron Copland: An Outdoor Overture and Variations on a Shaker Melody. Of course, it’s hard to go wrong with Copland; even harder to go wrong with that strangely irresistible little Shaker tune. I first heard it on Judy Collins’ Whales & Nightingales . It was the penultimate selection on the album and was followed by a memorable performance of Amazing Grace, in which Judy began by singing a capella and was then joined by a choir. For decades, those two pieces have been inseparable in my musical memory: both immensely moving, in entirely different ways. 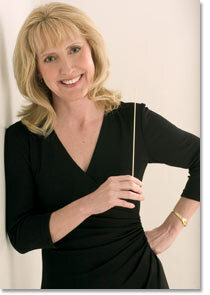 The third selection was the Concertino, op.107 by Cecile Chaminade, a piece for flute and orchestra. We were informed that our soloist, Marissa Plank, a junior at Charlottesville High School in Virginia, was the winner of a Young Artist Competition recently held in the mid-Atlantic region. Then on to the stage strides an absolute vision of blonde loveliness in a knockout red dress. “Wow!” I exclaimed involuntarily. “You mean she can play an instrument too?” Can she ever! The Concertino is a showpiece for the flute and a real challenge as well, studded with swooping melodic lines, trills, and numerous other embellishments. It was a delight, and Marissa Plank breezed through as though it were a walk in the park. A bravura performance! The second half of the program consisted of Bach’s famous Toccata and fugue in D minor, transcribed for wind band by Donald Husberger, and the Symphony in B-flat by Paul Hindemith. If Chaminade’s Concertino was a showcase for the solo flute, the Bach was a showcase for the entire ensemble. The rich sonorities achieved by these wonderful musicians were thrilling! At the conclusion of this splendid performance, Dr. Thompson spoke to us briefly. My only objection to the Toccata and Fugue is that it ended too soon. I wanted them to play it again! The band played “Start and Stripes Forever” as an encore. In the course of this performance, the audience was treated to a really special variation: four band members and Marissa Plank stepped out front and center to play the famous piccolo part in this beloved march tune. Five piccolos for Sousa’s famous March! Like October’s powerhouse performance of Mendelssohn’s Elijah, this concert was presented at the Rouse Theater, which is about fifteen minutes from our house. This is a small auditorium with marvelous acoustics, a great venue for this kind of music-making. 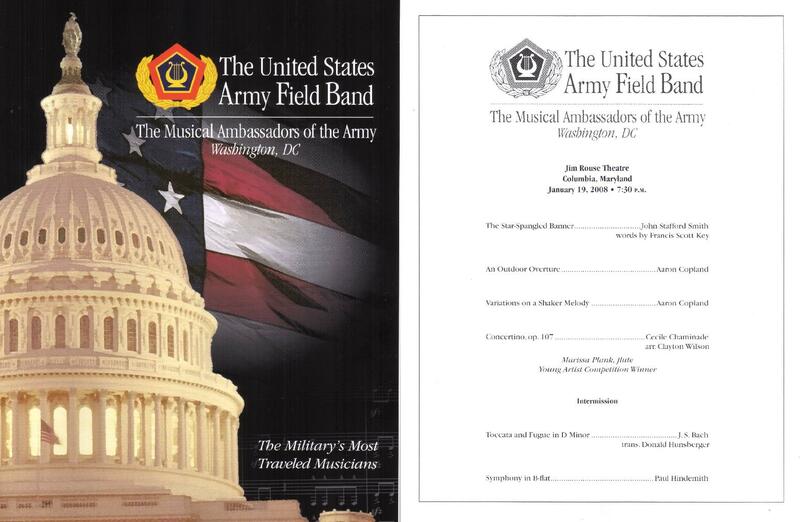 You can find out more about the U.S. Army Field Band at their site; you can also be apprised of their performance schedule by placing yourself on their e-mail list.